“Blue jeans and rock and roll brought down the Berlin Wall, so we have to recognize that there is a new wave of energy pushing a new approach toward U.S.-Cuba policy.” That’s not an endorsement of ending the embargo, but it’s quite a statement coming as it does from Alex Castellanos, campaign consultant to Jesse Helms, Strom Thurmond, George W. Bush, Mitt Romney, and many other Republicans. 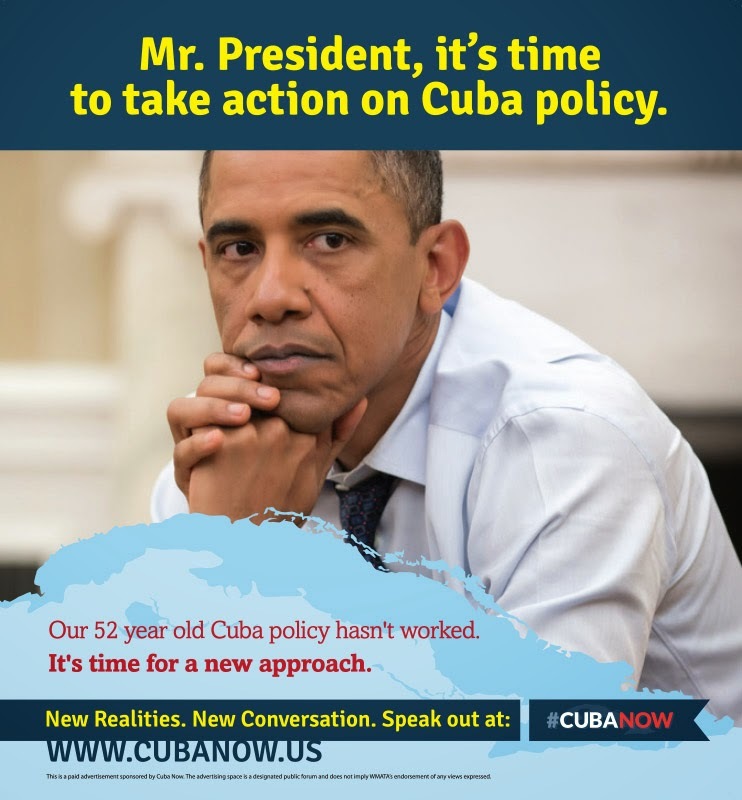 He was prompted to talk about the “new wave of energy” by the launch of CubaNow, an advocacy group that came out of the box this week with display ads on the Washington subway system intended to get the Obama Administration’s attention. Future plans aren’t clear, but the organization includes Obama alumni and people politically friendly to the President, and their language reflects that. 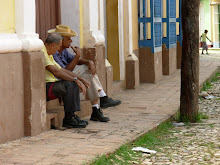 The President’s actions on Cuba policy have been very positive – allowing virtually unrestricted travel and remittances by Cuban Americans, allowing more travel by the rest of us, and increasing contacts between the governments – but they have also been few. Meantime, he continues to implement and fully own those old policies, such as this week’s renewal of Cuba’s listing as a “state sponsor of terrorism,” a label that isn’t even sustained by the State Department’s own report. From time to time, the President has mused in public that our policies are older than he is, and some “updating” is needed. CubaNow is taking a friendly, inside-the-family tack, and hopefully they will succeed in getting President Obama to answer his own question. My guess is that it will require some friendly expressions of impatience.